Manitowoc, WI- Daniel Olson of Lena, Wisconsin won Grand Champion in the Baleage Division of the World Forage Analysis Superbowl Contest during the World Dairy Expo. Drammatic® ONE Fertilizer was part of Daniel's fertility program that awarded him the winning grass and clover field. Prize-winning proof that foliar feeding makes top quality forage! "Daniel has had the World Championship Baleage for three consecutive years while using Drammatic® ONE!" said DRAMMATIC® Fertilizer Manufacture Representative Reggie Destree. "Imagine with all the producers of baleage in the U.S. and Canada and one farm wins the prize for three consecutive year... It is a real testimony to management and fertility." Drammatic® ONE is composed of pure liquid fish hydrolysate stabilized with phosphoric acid. It contains Kelp, fulvic acid, humic acid and chilean nitrate. The Drammatic® ONE is an all-natural organic plant food derived from fish scraps from the Great Lakes and contains the natural oils, amino acids, nutrients and minerals found in fish. 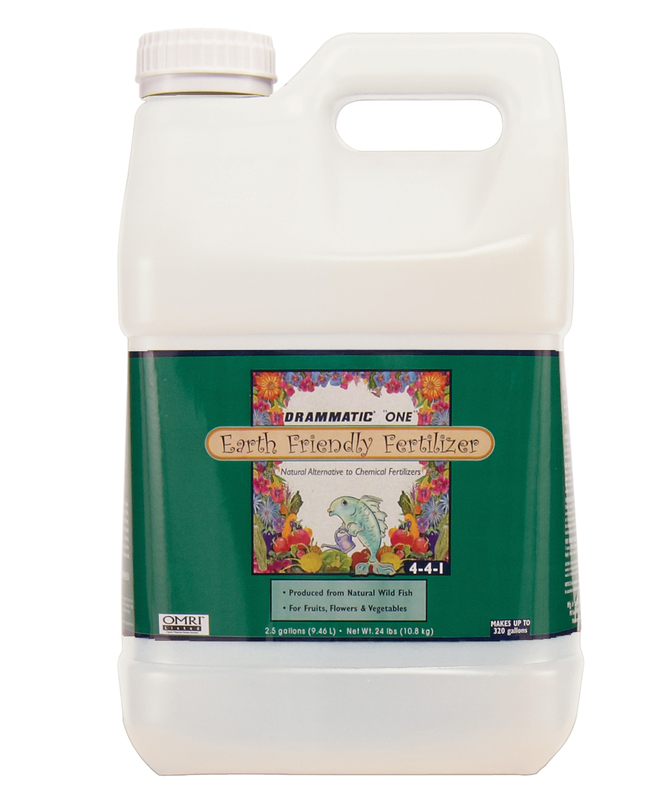 Drammatic® Fertilizer is OMRI listed and can be used for organic, sustainable and conventional crops and is available in 1-gallon, 5-gallon and 55-gallon containers. Dramm Corporation, headquartered in Manitowoc, Wis., manufactures and distributes professional quality water tools, greenhouse equipment and all-natural liquid fish fertilizer. To learn more visit us online at www.dramm.com. For more information please contact Jessica Reinhardt at the information above.